My final assessment presentation is only 8.5minutes – I’ve practiced a few times – should I make it longer with the risk of over running?? My initial thought is that candidates deliver quicker in the ‘real’ assessment than they do in preparation. Mainly due to stress! I would be worried that you will probably finish it in 6 to 7 minutes. So… I would see if you could develop some more into it. Often spending 30 seconds to a minute explaining the project in question and your role (with the aid of photos and plans,if available) is of huge benefit to your assessors and an invaluable way of setting the scene. Also take a watch with you on the day, to pop on the table in front of you, and time your presentation so you can effectively manage the 10 minutes. RoC & Ethics Scenario Discussion: Conflict of Interest? Scenario 5: Conflict of Interest? Following a recent case about a corporate suing their agent/s. If you were aware of another surveyor advising a client to purchase a property on the back of knowing another client who would let the building, what would you do? Would you report the other surveyor? 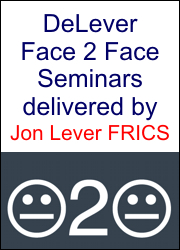 This Ethcial Scenario is Kindly provided by Will Evans MRICS – Commercial Property Surveyor, DeLever APC Coach and RICS APC Assessor. I will be delivering the following Seminar Next Week at South Bank University, London. The Critical Analysis seminar covers the components of the critical analysis, how to select an appropriate project, how to write the report properly and the common pitfalls. 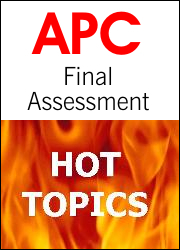 The Critical Analysis is such a key part of the whole APC Final Assessment and often candidates do not doo themselves justice. I will walk delegates through each component of the critical analysis, including key issues, options, proposed solutions, conclusion and analysis of experience gained. Candidates will have an opportunity to discuss all aspects of their chosen project and test it to see if it fits the bill. This seminar also includes an overview of the Rules of Conduct and the NEW Global Ethical Standards as they form an important part of the final assessment. This seminar is relevant for graduate routes 1, 2 and 3 and adaptation 1 candidates and supervisors and counsellors who wish to know how to best support their candidates. Candidate competency? 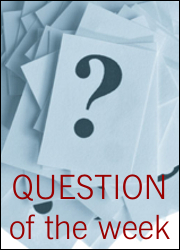 How do you know when a candidate is competent? I will describes the criteria to use when deciding whether a candidate is competent at levels 1, 2 and 3. The final assessment? I will describes the preparation needed for the final assessment and what a candidate will face during the interview. The final assessment from an assessor’s perspective? I will covers who the assessors are, what they are looking for in a candidate and how they make their decision. 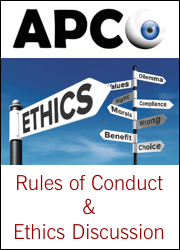 Overview of the RICS Rules of Conduct? The Rules of Conduct form an important part of the final assessment, so it is important to understand them, so I will include an overview of what candidates need to know.